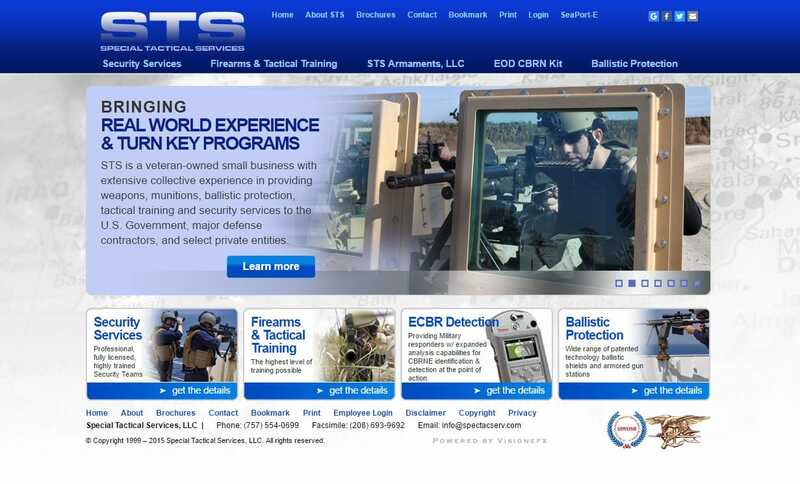 Website design weapons munitions consulting manufacturing | STS Special Tactical Services website, generates online customer leads and supports existing customers. This web design uses black and white faded image of the Middle East to reinforce the key global area of sales. STS provides custom gun mount industry selling a wide range of patented technology ballistic shields and armored gun stations. VISIONEFX provides Web design for security consultants and companies. VISIONEFX, a Web design company based in Virginia provides services to national companies as well as small to medium businesses throughout the United States to include; custom web design, web development, E-commerce web design, Word Press web design, Joomla web development, SEO and web maintenance services. Call: (757) 619-6456 or email info@visionefx.net. VISIONEFX also has Top Google Reviews posted on Google My Business pages.